Front flap pockets with snap buttons. Ribbing at cuffs, collar and waist. Left arms utility pocket with zip. Black inner lining with inner pockets. Design on sleeve. Model is 6ft and is wearing a size small. Mizucat's art is a fresh of breath air for your eyes and soul. 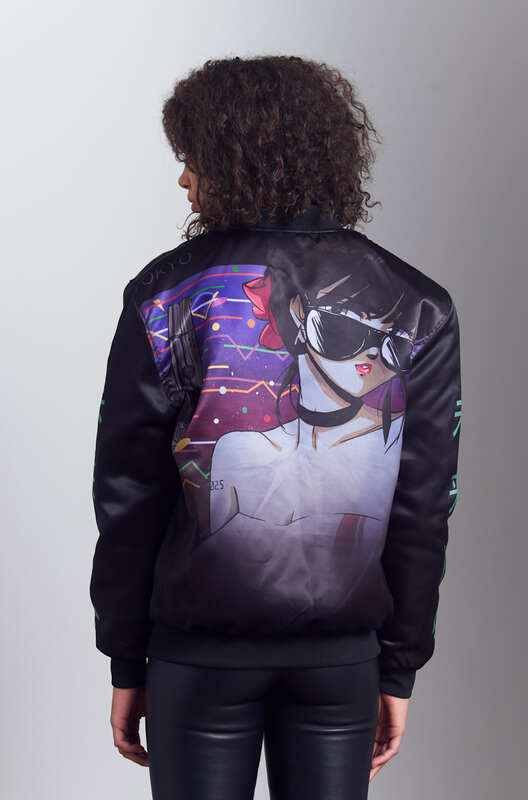 Effortlessly creating masterpieces that give major nods to 80's anime and culture, Mizucat has become very adept at her craft. Bold, bright and fun depictions of nostalgia and inspiration await you.